Comments For life to be called ‘life’ and to have that alive and vibrant feeling, there has to be VITALITY. The planet Mars or mangal/ Vidrum/ Angaraka/ Kuja (as it is severally known) is the planet of vitality, energy, courage and strength. 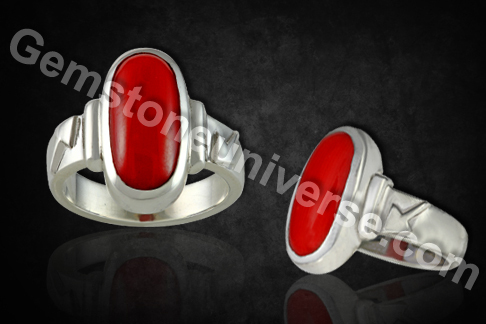 Featured above is a 5.41 carat Natural, organic Red Coral set in silver as a talismanic ring. What makes this customized red coral ring different is that the symbol of Mars stands in relief on the shanks of this ring. This Red Coral is of Japanese origin and has the prized rich Mediterranean Ox Blood color – the best color for jyotish purposes. Red coral embodies the best of Mars energies. It is an action and result oriented planet and aids in getting things done. 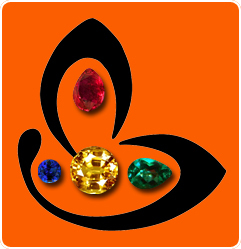 A valiant planet, it also acts as a protective shield against ill-effects of other planets if it is a karaka poised favourably in a person’s birth chart. Mangal or Bhaum can very well fulfil the energy deficit and help in case of an individual being affected by blood disorders.